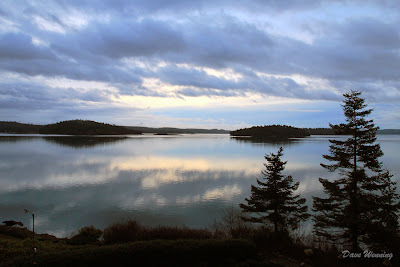 Between storms, there is a moment of peaceful moodiness in early morning over Skagit Bay. Until Christmas, December weather was unusually dry here on South Fidalgo Island. We received less than a half inch (12 mm) of rain for the month. The dry spell ended on Christmas Day. Now we are getting a succession of storms delivering wet and windy conditions, with calm spells in between. Fortunately, all predictions indicate the New Year's weekend will be fairly nice. Thank God for the respite between storms, not just in the weather. A lovely reflective shot so apt for the end of the year. Have a good one ahead! Superb capture! We are having a LOT of rain here in Seattle these days! It is wonderful to have a respite and fortunately, we've had a couple of those -- just not for the past few days! Wishing you a very Happy New Year! That's a gorgeous shot. Love the reflections. Hope to see you at the Cyber Masquerade Ball. The calm between the storms...gorgeous scene with dramatic shades of gray.